Ingenious AI tools unfolding the future. Project BriefIris.ai was looking to completely redesign and rebuilt their exiting marketing website to present their newly launched AI tools. 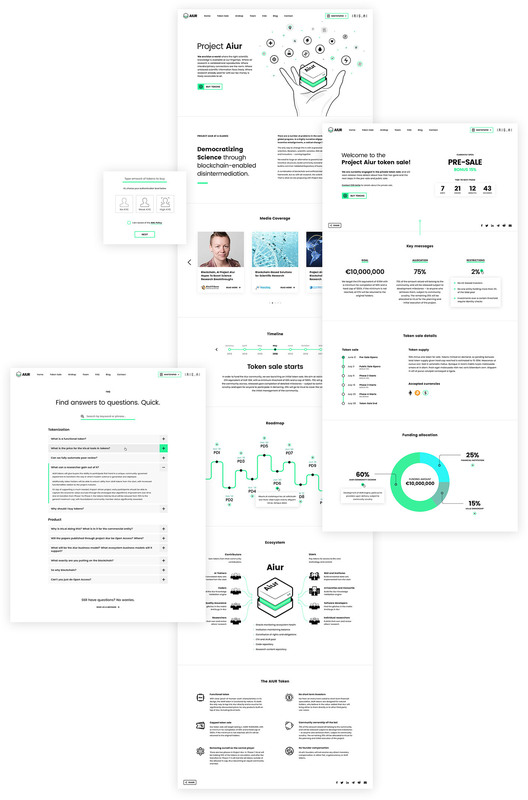 Additionally, they required a brand-new design for an annexing website presenting Project Aiur which is built on blockchain. 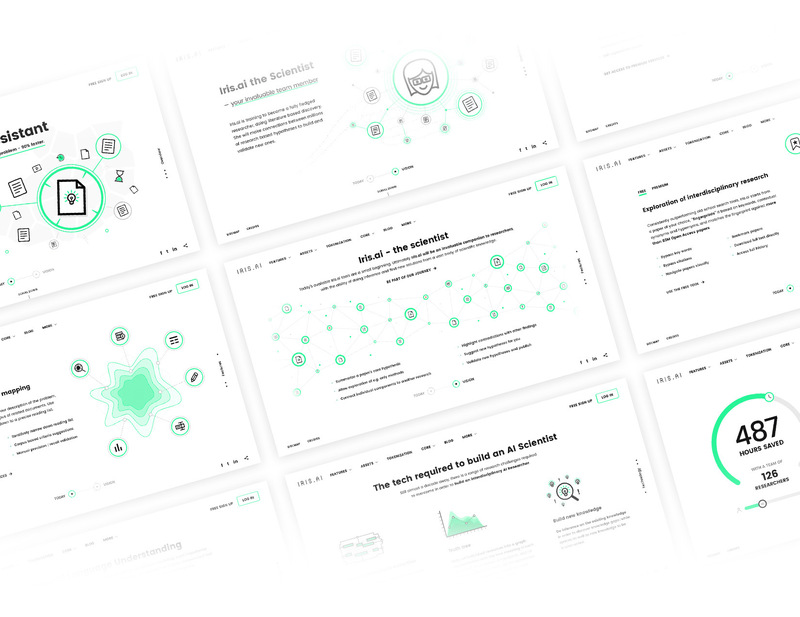 We designed an innovative marketing website to present AI tools and decentralized applications for an open, transparent and unbiased world of science. Iris.ai home page magnetic scroll sections' design. Complex AI tools made clear. Very often explaining complex application features and how these can help customers throughout their research journey can pose a problem. As solution, we've implemented a simple design and created rich artworks illustrating as clearly as possible the overall functionality of the free and premium AI tools. Specially designed high-quality icons used to illustrate Iris.ai features. Marketing website inner pages design. Project Aiur: Open science blockchain-enabled. During the concept design for Project Aiur, one of the biggest challenges was a short time-frame. Yet, we've managed to create high-quality imagery and a strong design direction thanks to an efficient collaboration with the Iris business team. Scientific knowledge available at your fingertips. 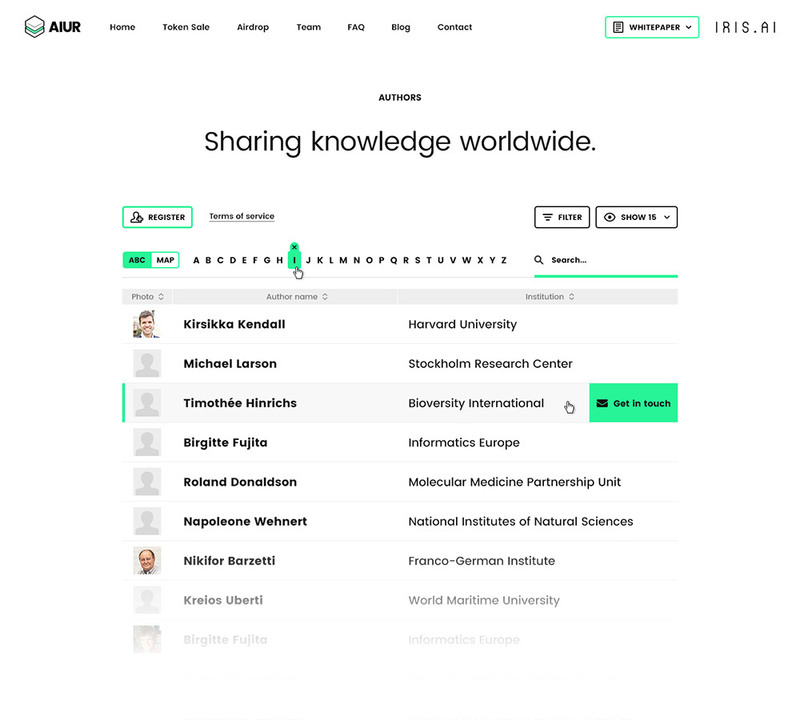 Project Aiur is an Iris.ai initiative to democratize science and create an open network of scientific knowledge. For this particular project, we've created a key visual illustrating the vast universe of scientific knowledge within arm's reach. Open scientific knowledge. Designs of the authors tool.